Within 24 months, cutting-edge enterprises will utilize cognitive-based digital colleagues as the standard form of communication and collaboration within IT operations. These artificial intelligence (AI)-based platforms will not only serve as the initial point-of-contact for all employee IT requests and issues, but also change the way IT organizations internally operate and communicate. Digital colleagues will collaborate with human IT colleagues to solve complex issues through automation; they’ll guide IT staff through arduous and research-intensive processes; and the systems themselves will become smarter, faster and more autonomous over time. By the start of the next decade, the clout of autonomic-based tools combined with groundbreaking cognitive front-ends will have wholly upended IT Ops. Today’s Artificial Intelligence for IT Operations tools, otherwise known as AIOps tools, focus on analyzing and prioritizing millions of events. These tools employ machine learning and other AI techniques to decrease the signal-to-noise ratio so that IT teams can focus on priority tasks. Unfortunately, even when utilizing advanced AIOps solutions, IT departments are guided by the same traditional processes, principles and practices in which they have been grounded for decades. Despite shiny technology promising magical fixes, IT teams still struggle with common, historical dilemmas—seemingly endless ticket queues, disconnected domain-based tools, individualistic hero-mentalities and disjointed communications. However, AI technology is available today, which can transform the way IT departments work internally. With a cognitive front-end, every member of an organization’s IT team has a digital colleague assigned with one critical task—to make life easier for the carbon-based workers. Like today’s AIOps tools, which assist with anomaly detection, predictive root-cause analysis, event correlation and suppression, etc., digital colleagues will be able to accomplish a wide range of complex tasks. They will have knowledge about standard operating procedures, they will be able to execute functions inside of complex applications, and they will automate entire tasks. Through the power of semantic technology, you will chat or speak with them just like you would with a normal IT colleague. This is not about voice-enabling your ITSM application, but about digital/human collaboration through data-driven dialog to resolve issues faster and with more compliance than ever. Instead of an IT ops manager scrolling through a list of active engineers in order to assign a critical task, the manager can ask a digital colleague to search for someone with appropriate access, a germane skillset and upcoming availability. The solution works with the manager if and when a request is problematic. Digital Colleague: There are no good immediate options. However, based on my analysis, I suggest we assign it to Mark Fitzgerald. He should be available within the next 30 minutes or you can increase the severity level to have him start immediately. IT Manager: Thanks, no need to increase severity. Unlike today’s IT ops tools and chatbots, digital colleagues have enough contextual awareness to use past information to perform intelligent and rapid tasks. DBA: Can you open up a change request for this database timeout issue? Digital Colleague: Of course. What should I designate as the priority level? DBA: Same as last time. Digital Colleague: Last week’s database timeout RFC was set as a P2. DBA: Actually, change that to a P3. Working with digital colleagues allows for much quicker transitions; some actions that previously required 20 steps in an application can be completed with a single utterance to a digital colleague integrated into the system. By incorporating a cognitive front-end into your IT Service Management, IT staff can work directly with a digital colleague to make changes, run automations, communicate with one another or assign tasks. IT Manager: Can you please run diagnostics on the SQL Server related to this incident, collect all logs and data files, and add them to the incident log? Please also notify Mark Fitzgerald that this is high priority and assign the incident to him. Digital Colleague: Mark’s status is out-of-office; would you like to me switch this to Jim Allen instead? System Admin: I am trying to connect to the Windows system in this incident, but it won’t authenticate, I think the password has expired. Digital Colleague: It does not look like your account is locked or that your password has expired. However, the system has not checked in with Domain Controller for 10 hours. I will remove it and add it. System Admin: Thanks, let me know when that is done. Digital Colleague: I have now added the Windows system back to the Domain Controller. Please try to login again. System Admin: Yep, that worked. Thanks. AI is critical for today’s IT operations to handle increases in volume. Companies that use AI and machine learning to increase end-to-end application assurance, lower the signal-to-noise ratio, and automate fixes to common workflows are already yielding massive dividends. But this will soon be table stakes. 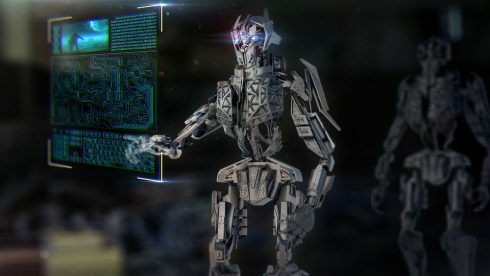 Within the next two years, IT operations should start on a second AI journey, one that will transform the way we work jointly with cognitive-based digital colleagues capable of sophisticated problem-solving and automating many manual tasks. Early adopters will be seen as innovative problem-solvers, while laggards will be searching for new roles. Research and familiarize yourself with AIOps supported by cognitive solutions today. Allan Andersen is director of enterprise solutions at IPsoft.